Historically part of the West Riding of Yorkshire (spot the white roadside WR markers) Dentdale was, at the slash of a bureaucrat’s pen in 1974, handed over to be administered by Cumbria. 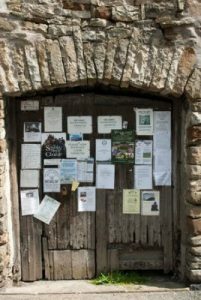 August 1st – Yorkshire Day – is therefore celebrated in Dentdale with a certain extra edge that perhaps only the people of Barnoldswick, Saddleworth and other places that were unceremonially tossed out of the Broad Acres can appreciate. 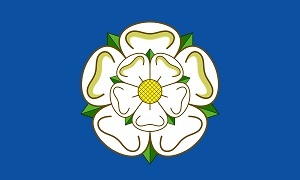 On Yorkshire Day the white rose flag flutters proudly atop Dent church tower, outside the pubs and from houses throughout the dale in a show of defiance. All good fun maybe, but an important reminder that identity and a sense of belonging are important and that differences in history, culture, language and environment do matter.